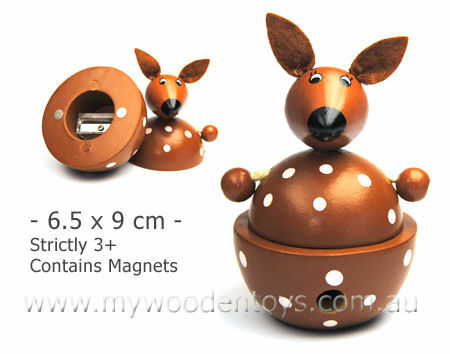 Kangaroo Wooden Sharpener is a beautiful novelty stationery toy with a pretty kangaroo body and soft felt ears. This lovely sharpener is in two pieces and is held together with small magnets. The design allows your sharpenings to collect inside the body of the kangaroo and then be easily emptied. We like this because: "Lovely detailed face.."